The subject line of an email is essentially a headline. It gets scanned in a micro-second as the reader decides what in her inbox is worth a closer look. Considering the ever growing deluge of emails we all receive, hastily scanning our inbox is the only way to maintain a thread of sanity. Naturally, anything that whiffs of hyperbole or a bot is instantly sent to spam folder hell. In this post, I’ll focus on how to write email subject lines that work for internet marketing in general and internet marketing product launches in particular. When writing an email, it helps to remember that the subject line’s only purpose is to get the recipient to open the email. That’s it. It is NOT the job of the subject line to sell a product, an opt-in, a call-to-action or anything else. 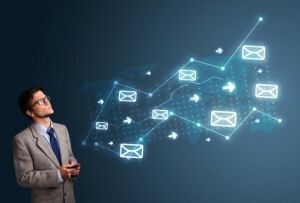 In Internet Marketing, an email, especially a product launch email, may lead a prospect into a sales funnel and ultimately to a sale, but again, the subject line is only the beginning. The process starts with the recipient opening the email for a closer look. That’s the only job of the email subject line…to get the prospect to open the email. Keep subject lines short, no more than ten words. Anything longer will probably just get cut off anyway. A butchered subject line will almost certainly be ignored. An ideal length is about six words. There are essentially two types of subject lines: Blind and Direct. A blind subject line is based on curiosity and usually has a relatively high open rate but fewer sales. This is because a subject line based solely on curiosity does not qualify the prospect. A direct subject line, on the other hand, does qualify the prospect. It may result in fewer opens, but will ultimately generate more sales. Here’s an example of a blind subject line: “Get Your Money Making Mojo On.” It rouses curiosity but it doesn’t give any specifics about what’s in the email. Although the reader might guess it’s about some sort of money making product. Compare this with a direct subject line example: “How to Succeed with CPA Marketing.” This pre-qualifies the prospective reader. If he isn’t interested in CPA marketing, he probably won’t open the email. However, if he is interested in CPA marketing, he will probably open it and ultimately follow the links in it to the sales page. Which is better, the blind subject line or the direct subject line? It depends. Every situation is different. A/B testing is required to know what works best for a specific marketing campaign. Keep in mind that the blind subject line, while based on curiosity, must still relate to the contents of the email. Otherwise, the reader will feel tricked. Being tricked never feels good. You don’t want that. So, while writing blind, curiosity driven, subject lines can be fun, keep it honest and relevant. Below are links to two free headline generating websites that are a lot of fun. Don’t just churn out something and slap it in the subject line of your email. That’s cheating. Instead, use the results of these headline generators to get your creative juices flowing. Another good source of blind subject lines is the emails you receive. If you’re a marketer, or aspire to be one, take a trip through your spam folder and steal the subject lines that catch your attention. Keep these in a swipe file for when you need inspiration. Don’t use these stolen subject lines just as they are. Use them to prime your pump of creativity and dream up even better, juicier and more relevant subject lines for your projects. Direct subject lines follow classic headline theory. While something in the subject line tells the prospective reader what the email is about, such as, make money online, dating, finance, supplements etc. there are well established ways to do this effectively. One of the most powerful things you can to do to increase the open rate of your emails is to instill your subject line with a bit of personality. Think about it. The two most precious things on the internet are trust and the human touch. If you’re sending emails as part of a marketing campaign the process will be far more enjoyable and successful when you express your personality and do so with integrity. Just as there are powerful words that can increase the success of your email campaign, there are words that will sink it as well. These words are “Spam Flags” that will send your email directly to the spam folder never to bee seen. Unfortunately, as power words are over-used, they may become spam flags. The power word of today might be the spam flag of tomorrow. Ultimately, it’s a good idea test your emails by sending them to different email accounts that have spam filters, just to be sure your baby doesn’t get flagged. The subject line of an email is essentially a headline. It gets quickly scanned and has only a split second to catch a prospect’s attention. Keep it short. Six to ten words is perfect. The job of an email subject line is to get the reader to open the email. That’s all it has to do. Your subject line will succeed if it piques the reader’s curiosity or promises to solve a problem for them. One of the most powerful things you can to do to increase the open rate of your emails is to instill your subject line with a touch of personality, because the two most precious things on the internet are integrity and the human touch. Your reader wants to know you’re human. I like the way that the article honed in on the important function of a header, to get the reader of course, to open it. After reading your excellent article, I realized I had a question and who better to answer it, than you. Should a subject line be personalized? By that I mean, should you include their name in the subject line. Looking forward to your reply on this, Gary. Thanks for stopping by and thanks for your question. Yes, absolutely! When it’s appropriate, a personalize subject line is recommended. A personalized subject line helps to established a one-on-one connection which is so important in communications. Great article! As I start to slowly build an email list with my site and start sending messages to my members, the last thing I want is to sound like spam and be discarded. I also had no idea that there were phrases that will send your email directly to spam – so useful to know! I’ll definitely do some test runs with spam filters prior to launching an email, from now on. Glad to help. The more you can put a human feel to your emails the better. People naturally want to know what’s in it for them. If you offer to add value to their lives you’ll have much more success. My most recent post is about writing persuasive emails. That might help too. Thanks for stopping by. 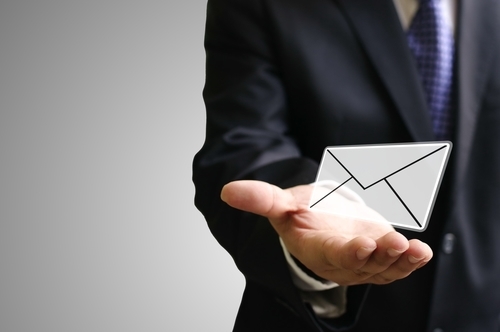 My latest post is how to write a persuasive email. I think that might answer your question about actually writing an email. I’m not sure I follow your second question about “how to find more emails from people in your niche.” Are you asking about building a list? Thanks for this great post Gary. I have been wondering about email subject lines for my newsletters. I don’t have a very good open rate which has been worrying me. The first point you made really struck me and I think that is where I have been going wrong. I have been trying to write subject lines that describe what is in the email and make it very relevant. I never thought about it that way, the only point is to get them to open the email! Thank you for those links to tools to use and also for the power words. I will definitely be making use of all your tips and info in this post, thank you for sharing. Thanks for stopping by. I’m pleased that you found my post useful. There’s a lot of confusing information online about email subject lines, but it’s really very simple. I found your information here very helpful. Marketers from large companies strategize about things so it would make sense for us to at least thing in terms of strategies as well. I never even knew there were any rules or tactics for creating an email subject line, so I’ve just learned something. Also, thank you for the lists of words the grab attention and those that are common with spam, that’s very helpful for me too. Thanks for stopping by. I’m pleased you found my article helpful. This article is very helpful to me as I am just starting an email campaign. I do get a lot of emails myself, but very few that I do open, so I know it’s important for the headline to catch my attention. I actually tried out your link for the headline generator and came up with some good ideas. I have bookmarked this page so thank you. Thanks for stopping by. I appreciate your feedback and I’m pleased you found my post helpful. This is a really great write up on “Email Subject Lines That Work”, so glad this site generated. I don’t consider myself the best writer, but I’ve always loved writing and reading for some reason (lol). As far as writing email subject lines go, your post has actually educated me on some pointers I’d never dreamed of. For instance, It never occurred to me what’s exactly happening with the email (sales) content. I figured the subject lines are geared to make people open ’em up based on the tons of email I’ve curiously open up due to the interesting or relevant subjects given. However, I was not familiar with the terms “blind/direct subject lines”…So now thanks to you I’ve a better understanding of what’s really happening. You are on point, about the “direct” subject being more relevant for more serious people. But, I will admit the majority of may emails I’ve open that had the “blind” subject lines to stir up curiosity, I ended up deleting practically all of them. However the ones with the more “direct” subject lines, I always paid closer attention to, because I know it’s something I want or need. You have shared lots of valuable information and I really feel like I’ve just taken a “mini email course” …LoL. Gary, you are an Angel and I thank God for you. I pray lots of success and prosperity in your business. Thanks for sharing the value. I will definitely bookmark your site and come back. This is awesome! Thanks for stopping by. I appreciate your kind words and I’m pleased you found value in my post. Your comments about how and why you open emails is helpful too. Yes, the Headline Generator can be addicting. Remember, just use it to get ideas. Most of the titles and headlines these tools produce are too long and wordy. Use you own judgement to shorten them and put your own spin on them. I haven’t sent out a single email yet apart from the automatic autoresponders. That’s how I came across your post with headlines. I’ll read the article again and try your advice. Thanks. 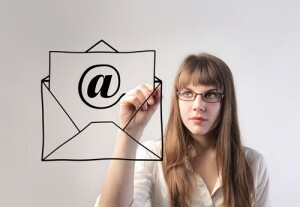 This is a great article on how to use your email subject line to really get results. The points you make are straightforward and easy to follow. It’s true – the subject can make you open an email and check it out – or trash it right away – that is very important. I will definitely use the information you provided in the future. Thanks. I’m pleased you found my post helpful. Thank you for giving me insight of how simple the subject title really is. I was thinking a lot more complex than it really needs to be. I understand that it takes an average of about 7 days for a buyer to give in. And the email list method seems legit. It also seems like a lot of work. I’m down for work tho. I am curious tho.. I am in the fitness Bodyweight Muscle niche.. what would be some good subject titles i could use? any suggestions? I have little to none experience with email marketing by the way. I would like to learn more about it for sure in the near future tho. Thanks for stopping by. Your first subject line idea needs a little more. Also, all caps appears spammy. It’s ok to totally capitalize one or two words, but that’s the limit. Like you mentioned, simple is good. I like to use simple “How to…” subject lines. For example: “How to have amazing abs.” or “How to quickly get amazing abs” or How to get rock hard abs in three weeks.” You get the idea. Your second subject line is much stronger, although, I suggest you not make it all caps. Remember that you are building a relationship with each member on your list. Relationships are built on honesty and trust. The reason the money is in the list is because people on your list will buy from you time after time, but only if they trust you. Hey.. wow. I liked it. I had been clicking every links all I wanted is to know more. I got my attention not many has it. I enjoyed your style of writing very superpower you have it because it was very informative since my brain at this time is a sponge. Sorry to hear about your brain. My brain gets like that too. This is cool to come across. I’ve been thinking about starting up a newsletter for my website since I haven’t yet. Email subject lines really are important. Some spammers create interesting subject lines that catch my eye when checking my email. So I guess this is true. Nobody wants to see “Free this, $$$” etc… because it’s usually a scam. Like you said, it’s a good idea to draw readers in without sounding spammy! Thanks for stopping by. You brought up some good points. It all boils down to respecting your reader and being as real as possible. Thanks for sharing this….it’s strange that I’ve come across it today, as I’m just about to start writing an email course for my new site. It’s really great to have advice from a copywriter, as that was the next step of my research, so thank you for sharing such great information! So, do you personally prefer blind or direct subject lines? Or does it simply rely upon the individual situation? Thanks for stopping by. It does depend on the situation whether I use a blind or direct subject line. The blind subject line can be a lot of fun to experiment with. I’ll use the direct when I know I have a solid solution to the prospect’s problem. I like your post and especially on good subject line words and what words to avoid. Sometimes one could have a genuine message that is not spam but because of using badly chose words will either get their emails not read, or thrown into junk folders. Thanks for stopping by. I appreciate your comment. And you are so right about having a worthy message that doesn’t get read because of the from or subject line. Despite English is not my mother language ,but in your post you make the writing very easy as a letter to the friend ,so great ,you was honest ” the trust is the base to any success” and you should be honest all time , I noticed I could not copy any word ,How did you do that ,I,m waiting for answer ,thank you and more success. I’m glad you found value in my post about email subject lines. Yes, trust is our most precious asset. I’m amazed how some people try to make money online by compromising their integrity. I use a free plug-in called “copy protect.” You can find it when you search for plug-ins in the WordPress dashboard of your website. Great article! I have learned something new. I did not know that certain phrases can actually be automatically defined as spam. That is good to know! The last I want is to be sending spam emails when we all know those are such a headache. I will take this into practice and hopefully become a better email master! I’m glad I was able to help. Yes, the list of spammy words is constantly evolving, so occasionally chek back as I update the list. Also, as I’m sure you’re aware, most autoresponders will rate your emails for their spamminess, so keep an eye on that too. Awesome article for writing email subject lines that work. I’m still very much a newbie when it comes to email marketing and have lots to learn still. I certainly want to create subject lines that people will see and click in order to open the email. I love how you listed 12 words that can help increase the effectiveness of a subject line. Excellent stuff! Thanks for stopping by. I’m pleased my article How to Write Subject Lines that Work was helpful for you.